Many processes of bulk solid materials require dust collection to keep production areas safe and clean as well as to reclaim material. Dust collection systems are commonly used in these situations. In a wood working system a dust collection system was manufactured using a 55 gallon drum as the collector. 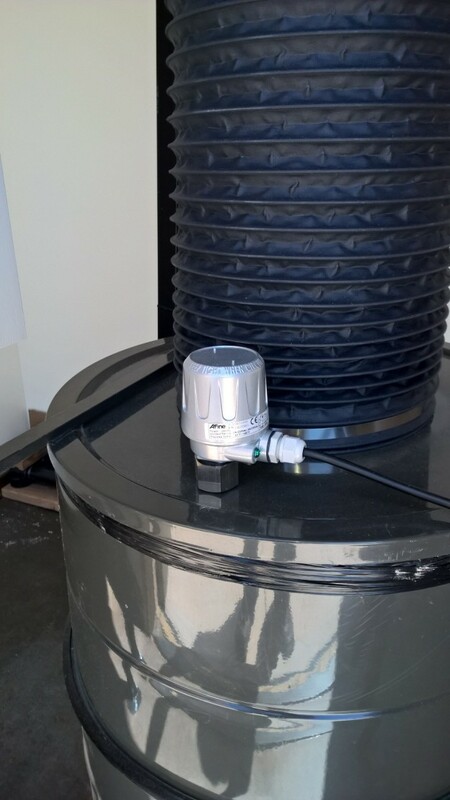 To keep the drum from overfilling and to prevent the dust from backing up into the system, a compact rotary paddle bin level indicator has been successfully used. The SE38 compact rotary paddle bin level indicator with standard 4-vane cross paddle is installed in the cover of the 55 gallon drum collector. It is powered by 24VDC and provides a contact output that will sound an audible and visual alarm when the drum is near full. This system has been working reliably for detecting wood dust and shavings. The SE3 series is a compact rotary paddle bin level indicator, robust and rugged in design and manufacture it is small in size for installations requiring a level detector to fit in close quarters. The SE3 can be equipped with a variety of different power supplies including 24VDC, 24VAC, 110VAC, 220VAC and 240VAC. A range of mounting connections, extensions and paddles can be provided to fit the application. 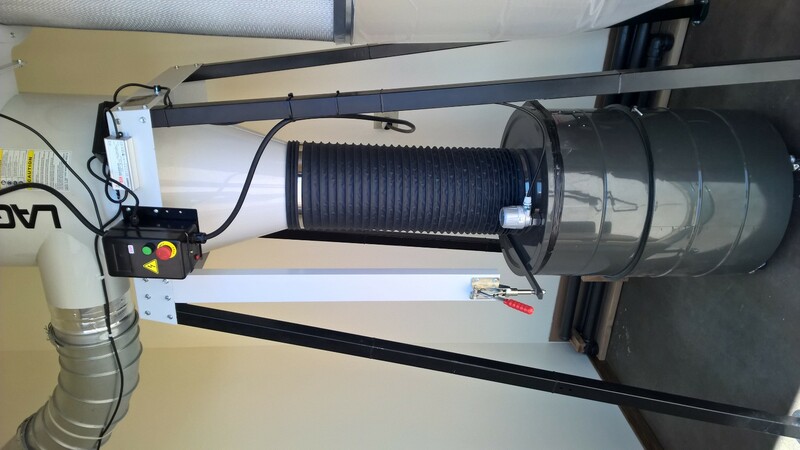 In this example the customer designed a creative and clean dust collection system. 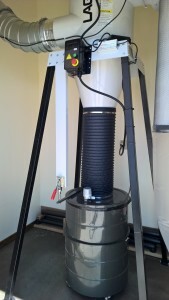 In the picture shown here the dust collector was in operation, no leaks, no overfills, no mess. The SE3 series does its job and is cost effective. For more information about the SE3 series compact rotary paddle point level sensor please visit of SE3 series webpage or contact us at 815-632-3132 or info@aplusfine.com.